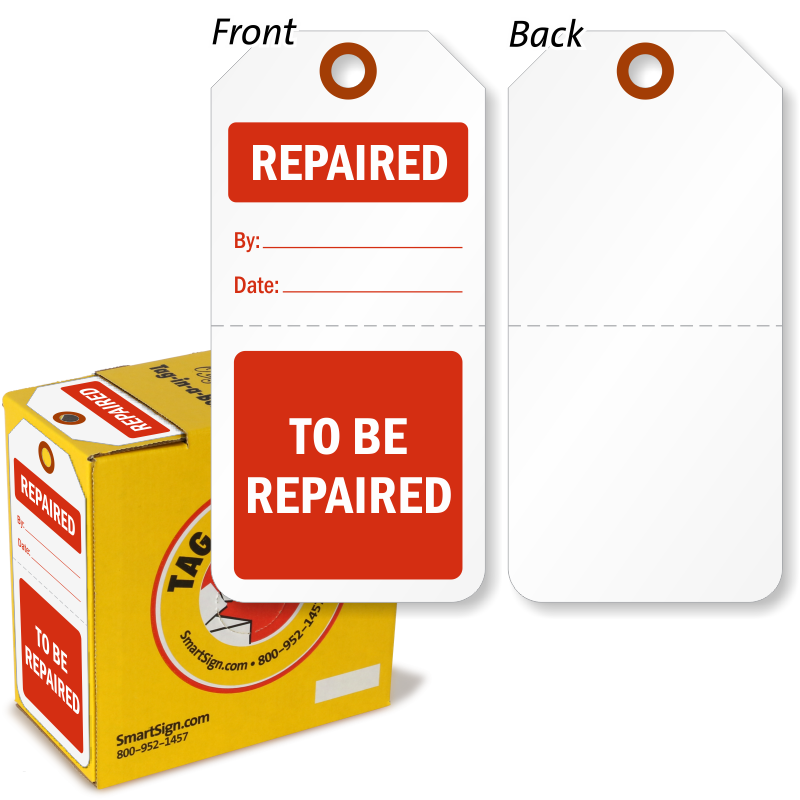 Change the way you tag your repair items. 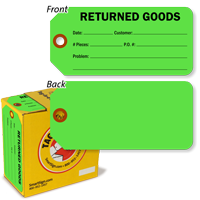 Get Tags on a Roll. 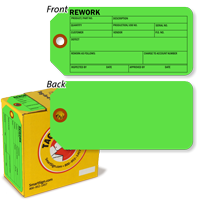 These bold fluorescent tags come in a handy dispenser box that lets you store and grab repair tags like never before. 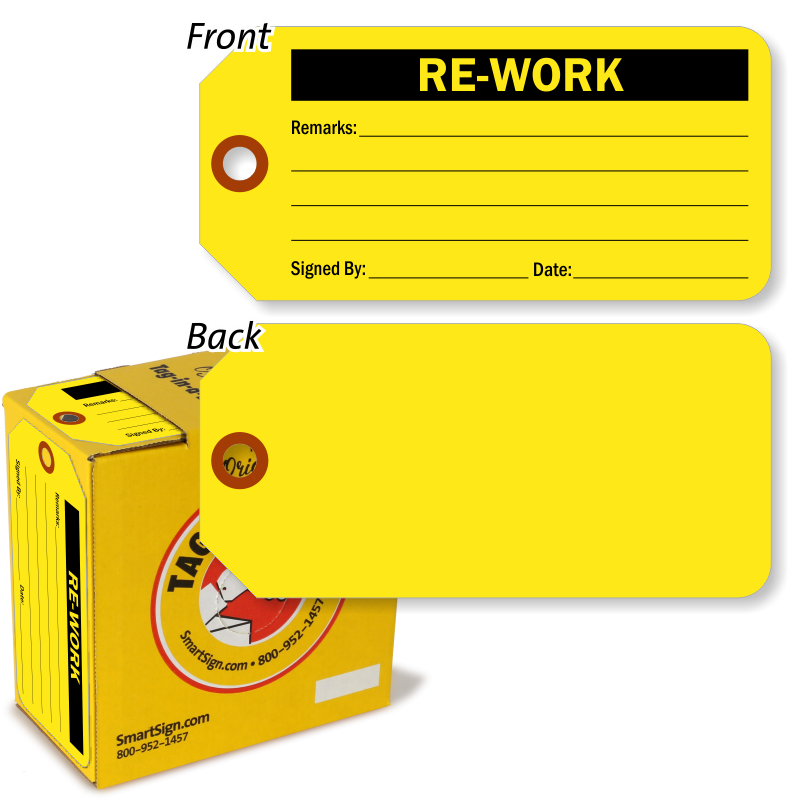 Just tear off a repair tag from the reel. 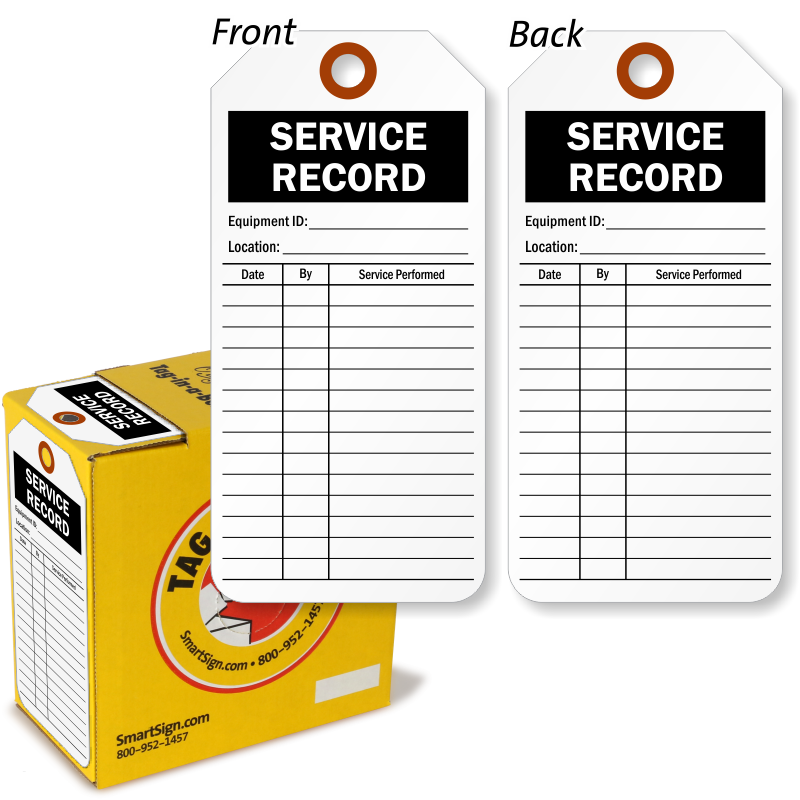 It’s easy and handy. Keep your repair tags organized on a shelf, where you can see the legend, right on the box. 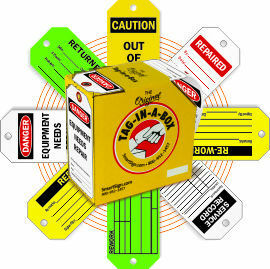 Take your tags on-the-go for easy on-site tagging. 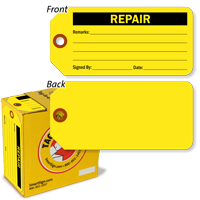 Write on these tags with a pen, pencil or marker to save time and extra steps in your busy repair system. Choose from a comprehensive selection of Repair and Rework tags that give you the perfect message you need for the job. 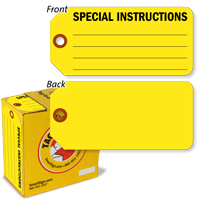 • Tags on a roll tag dispensers let you tear a tag at a perforated edge, one at a time. 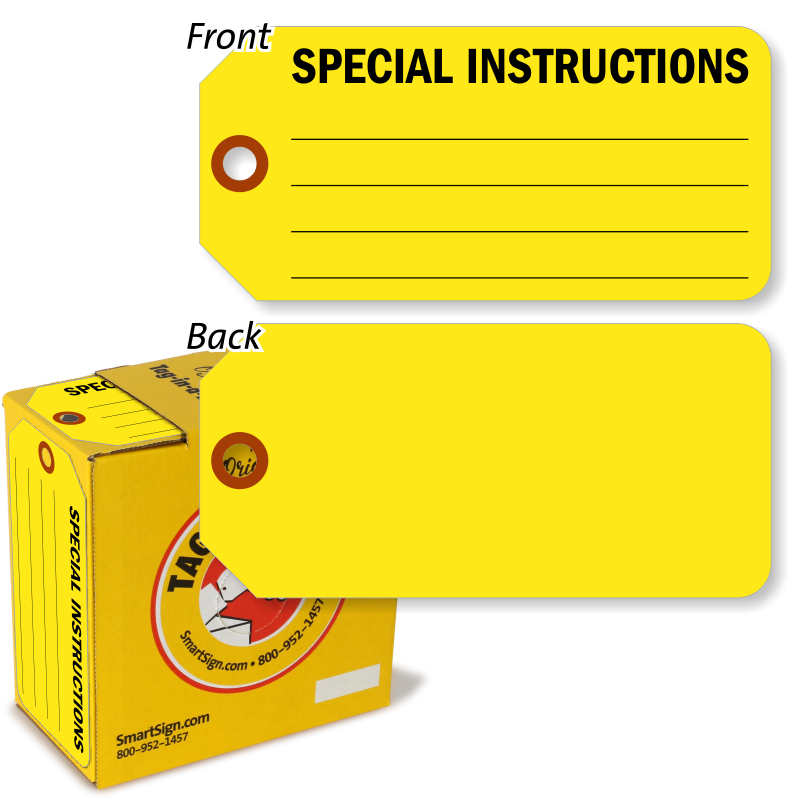 These tough-and-ready tags save you from a mess. 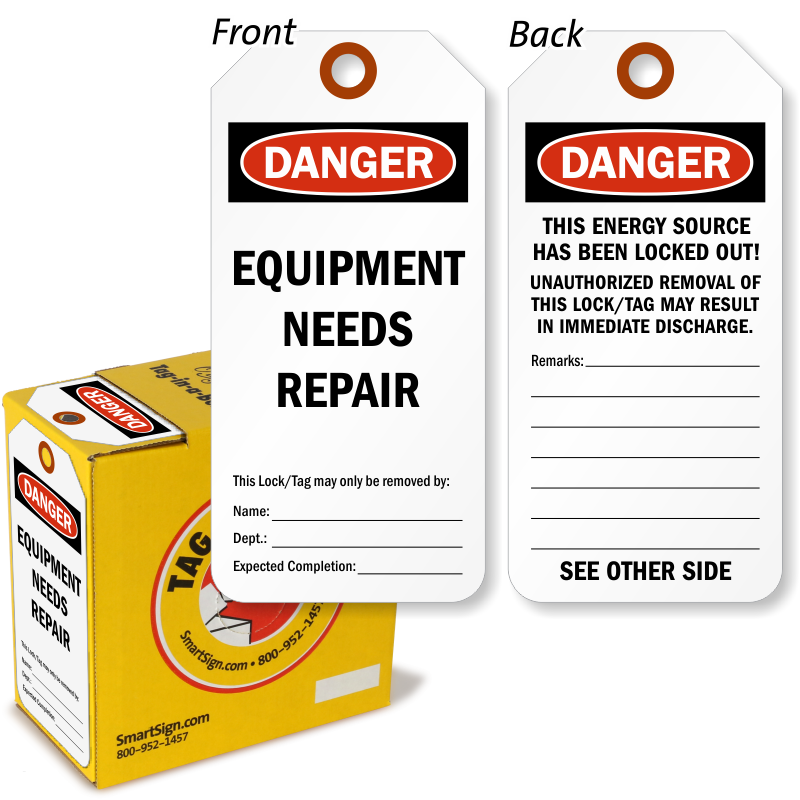 • Bold colors are 75% more likely to be seen on your equipment - a bright background goes a long way. 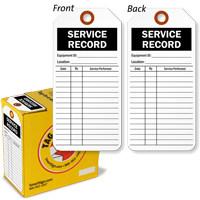 • Write on these tags for a smudge-free message. 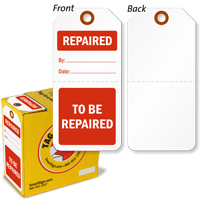 Effortlessly color-code your repair system. 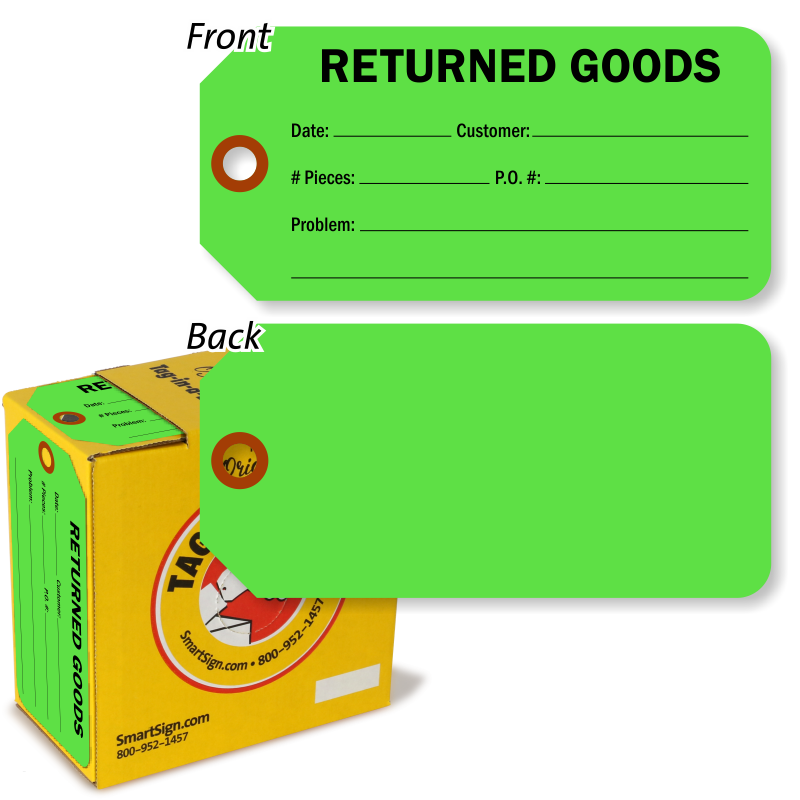 • Click on a design below to learn more about our Tags on a Roll designs. 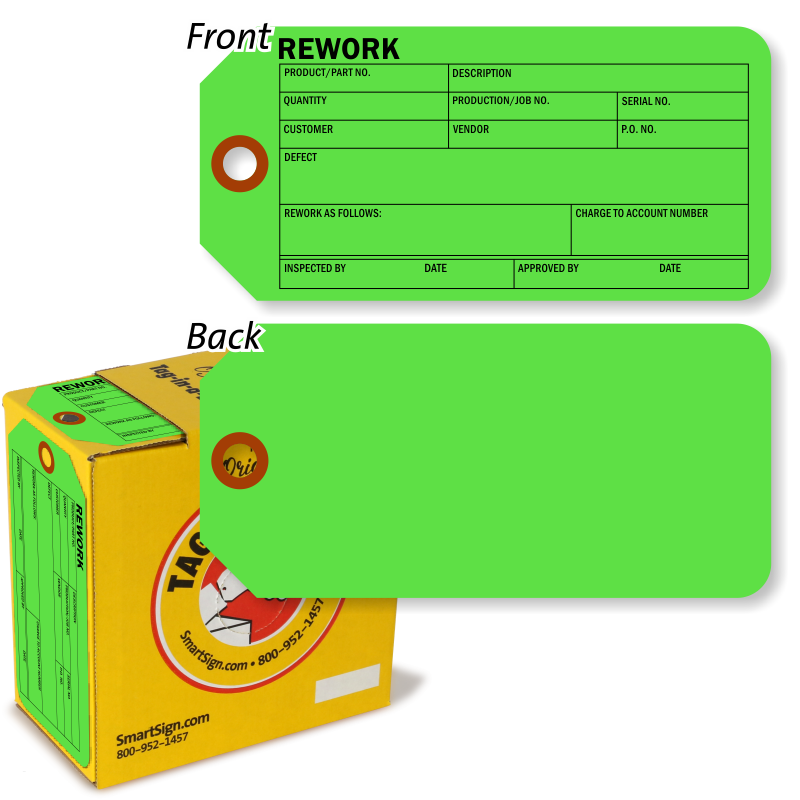 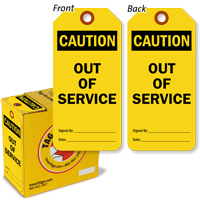 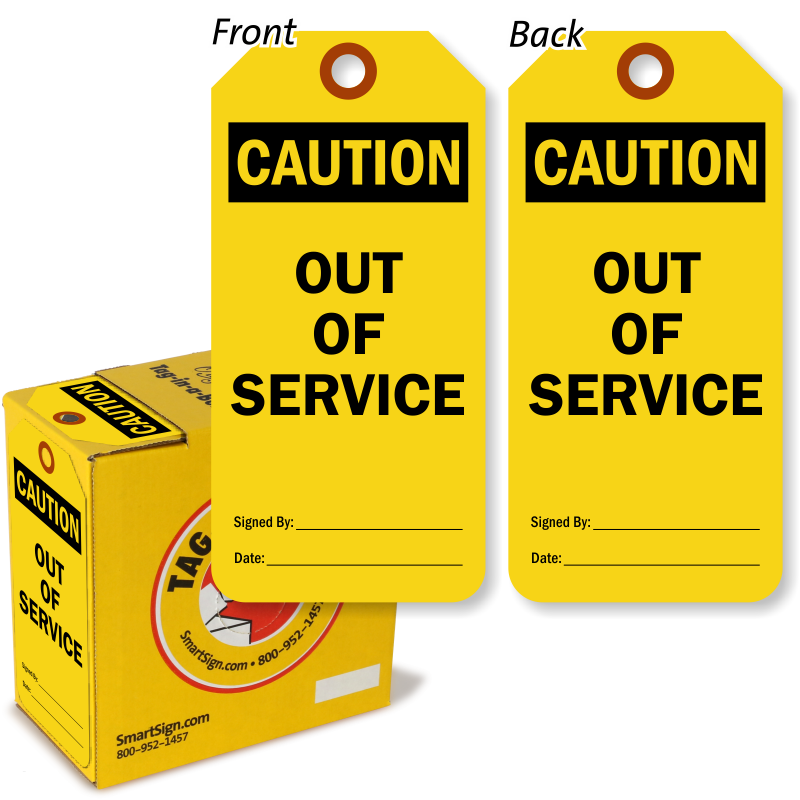 • Handy tags on a roll repair tags keep your maintenance shop organized. 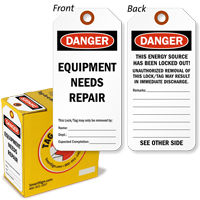 Our self-laminating tags withstands weather and abuse.